They start off tiny, then, almost overnight they’re taller than you. Make sure you remember when they were adorably small with this playful craft idea. Chicken Mittens are plushy toys you make yourself by tracing your kid’s itsy bitsy hand. 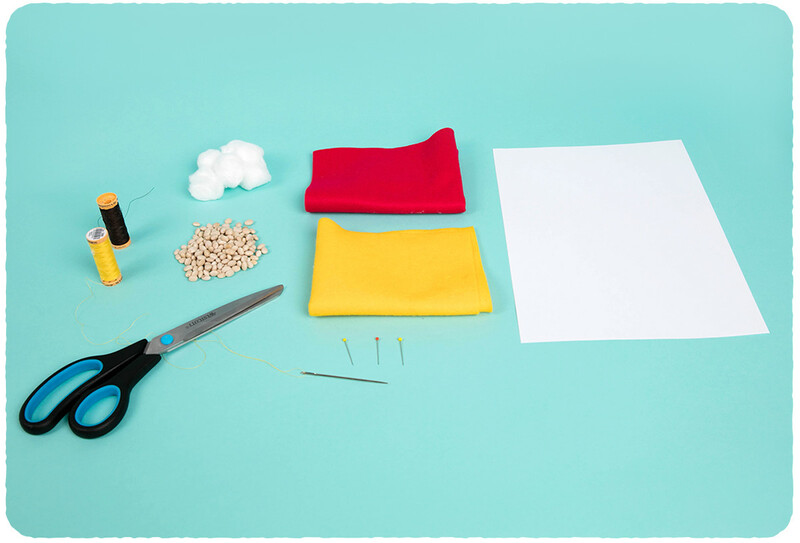 All you need is some coloured fabric, sewing equipment and of course, a little one’s palm. Follow the simple steps below to turn your toddlers’ hand into a chicken keepsake plushy. Trace their hand onto the paper and cut it out. This is your stencil. Pin the stencil to the fabric or felt and cut out two chicken shapes. Cut the chicken’s comb, wattles (the bits under the beak), and legs from the red. Cut the beak from the yellow. Place hands together. Use a blanket stitch to sew almost all the way around. Sew the comb, wattles, and legs to the back (pick which side is the front). Now for the stuffing. Fill each finger with lots of cotton wool, the sturdier the better. Nobody likes a flimsy chicken. The nice chubby body gets the beans (this will let it sit properly). An adorable way to remember the size of your little one’s hand forever. Arrrr. Recycle some jars and learn how to bury treasure like a proper pirate. Our friend Squid will show you how to make a super fun sport-inspired bento box. Create a world that’s bursting with your child’s favourite things.